These are just my own personal shopping lists for our family, not a complete Feingold shopping guide. That’s a book. Please use as a guide and not a Bible! (I listed my shopping lists a few years ago. I haven’t even looked at that one recently, but these are my lists as of today.) If you are exploring the Feingold Diet for your child, this will give you an idea of what kinds of foods are acceptable. 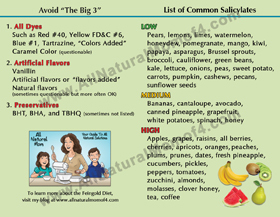 I don’t have these listed as stage 1 or stage 2, so just eating off these lists, will not be the same as doing the diet, as you would need to understand the concept of salycilates. But, I would hope this helps some families make better food choices, and for other families, give them the encouragement and help they need to start the diet. I did not cross check to make sure everything on here is in the Feingold shopping guide. One reason being: There are some manufacturers who will not fill out forms for Feingold, so they could be totally fine, but they are not listed in the FG guide. Lay’s, for example, just stopped filling out forms but last year, they were approved, so we still eat them. The ingredients listed on the packaging have not changed either, so I feel they are safe. Or, there may be some new products that have not been researched yet by Feingold. I’ve listed our GFCF products separately too. If you have a child with allergies, please do further research on these products to make sure they are safe for your child. Some of these products will have cross contamination (CC) issues, like Lay’s products, but we seem to be OK with the small amount of gluten that is them. If you are not GFCF, don’t skip past the GFCF lists. There are some very basic foods in there that your kids will probably eat, that happen to be GFCF. Some of the GFCF foods are better than the non-GFCF foods in my opinion. I think the GFCF Ian’s products are pretty good. If you buy Ian’s, make sure you cut out the UPC’s on the boxes. You can send in 15 of them to get a coupon for a free Ian’s product (worth $6). We try to avoid soy with the GFCF products, but you’ll see some products listed with soy (I’ve listed if I know they have soy in them). That’s because those are products that I eat, or we eat very seldom. I listed a few items that I know are stage 1 Feingold. The lists below are for 5 different people in our house, with different intolerances. My youngest daughter and I for example, can do stage 2 fruits and some soy. The rest do limited stage 2. We try to avoid corn syrup for my son on the Feingold Diet, so I list if any have corn syrup that I know. We also try to avoid MSG. Feingold considers foods with corn syrup and MSG as approved, but they list if it contains those things, which is really nice, because they are often hidden under different names. We also do limited chocolate and dairy for my Feingold only son, so if you can do dairy and chocolate, there are a lot more choices out there for you that I do not have listed. My health food store will order things for me as well. Not everything, but you can ask. I had them order Rudi’s Honey Sweet Whole Wheat bread b/c I could only find it at Whole Foods and I only go there once a month. I had to order a case (8 loaves), which was fine b/c I freeze them. Now, they have started carrying these. If you go to a regular grocery store chain, they will either have a separate aisle for natural foods (usually combined with the allergy friendly/GFCF foods, or they will have them mixed in with the other foods. Our Dominick’s recently changed their stores to incorporate all the health food in with the junk. I stopped shopping there. What a pain. Now, instead of shopping in one aisle, I have to go down every aisle and search for what I need. And, as a last resort, you can always order online, mostly on Amazon. I do this if it’s cheaper or if the weather is bad, and I don’t want to be running to the store as much. I almost never pay shipping. But, you sometimes need to order in bulk, which could be a problem if you haven’t tried the product yet. At the end of these lists, I’ll list what I typically order online. The biggest challenge I have personally, is having to shop at so many different stores! If I had a Whole Foods closer, it would be a lot easier (mine is 25 minutes away, which isn’t too bad). But, I try to go to one store once a week and get what I need for a month. That’s the plan anyway. Having a meal plan helps and always make a list. My grocery lists have a few different stores listed on it! On my next post I will answer the question I get most often: Is it really worth it to buy the Feingold program? My short answer/opinion: Absolutely! Disclaimer (So Feingold can stop leaving the same comments over and over all over my blog): This is not the same as doing the Feingold Diet. If you want to do the Feingold Diet, please purchase their program. WF has a few brands of chicken nuggets but my son didn’t like any of them, but he’s picky. There’s Earth’s Best, Applegate, Ian’s, etc. I make them homemade too. Any whole milk (not skim). If I buy milk, I usually buy organic or Oberweis. We don’t do yogurt, but Whole Foods has a few brands that are approved. I would think any organic brand would be fine. The bakery has a lot of good stuff, but a lot of it has corn syrup. You have to read the labels. They can make b-day cakes to your specifications. My son loves the Lacey’s choc and macadamia nut toffee wafers. We’ve also tried the mini cinnamon rolls, donuts holes, danishes, etc. My kids LOVE going to Whole Foods with me. Their ice cream is good. Their gelato is good but has corn syrup, and they give free samples. They make individual slices of cake and cupcakes that are good but very expensive. They have some GFCF and egg free cupcakes that are really good but they have soy. We like the fries from their restaurant, and the strawberry lemonade. The pizza is pretty good too. So Delicious Coconut Milk Original (in a red box) (These are cheapest at Woodman’s – $2, but sometimes go on sale at Whole Foods). GF Ice Cream Cones. They have regular ones too. Annie’s Fruit Snack Bunnies (My kids get crazy hyper with these, but these are good for school snacks for the class.) I think Costco has these too. Organic popcorn kernels – Arrowhead Mills, etc. Pop: Whole Foods has a lot of options, all without corn syrup. There’s a 365 brand, Izze (sold at Chipotle too), Oogave, Blue Sky. My favorite is 365 Raspberry but I think they discontinued it! Can’t find it anymore. Root Beer is OK too. Dr. Snap is one my kids like, and Key Lime. They make Root Beer floats out of them. Dole or Del Monte sliced peaches, pineapples, etc. in a can. Just read labels for corn syrup. I usually get the “in 100 % juice” ones. Targets will have about the same foods as Wal-Mart and regular grocery stores, so I won’t list them again. There are just a few items that I can only find at Super Target, or are cheapest here, so I have listed those below. Big chain grocery stores also often have other items found at Whole Foods, but it varies greatly, so you’ll just have to see what your stores have. Same things as Wal-Mart. My Meijer carries So Delicious Coconut Milk $1 cheaper than anywhere else ($4.99), and Applegate Hot Dogs for $1 cheaper too ($5.99), so that’s about the only thing I get specifically from here, and produce. I don’t get much from Trader Joe’s, but I like their selection of organic produce. Trader Joe’s breakfast bars – This Blueberry Walks Into a Bar, etc. Organic: russet potatoes, red potatoes, onions, garlic, Fuji apples, bananas, lemons, limes, Romaine lettuce, broccoli, cauliflower, brussel sprouts, asparagus, carrots, celery, watermelon, cantelope, honey dew, berries, etc. Frozen: Organic green beans, peas. So Delicious Coconut Milk Original (in a red box) (These are cheapest at Woodman’s – $2). Tings (My kids get hyper from these but they’re good. Similar to Cheetos.) I can only find these at Woodman’s or from Amazon. HFS’s products will vary greatly. They will have similar things as Whole Foods, on a smaller scale. You can ask them to order you products, but you may have to buy a case. Sometimes not though. Great place to get vitamins and products for when you’re sick. I order my grass fed beef from here about once every month or two. Whole Foods sells grass fed beef, but I didn’t care for it. It just didn’t taste good/fresh to me for some reason but some people like it. My health food store sells some that is local that is pretty good. It’s about $5 a pound. From here, it is closer to $7 a pound, but I know it is high quality and that’s more important to me. I’ve tried Trader Joe’s Organic beef (Sommer’s brand), but many times I would open it, and the meat smelled very bad so I had to throw it out or return it, so I stopped buying from them. Below is what we typically order from them and have liked. You will end up spending a lot if you buy grass fed beef, but knowing what I know now about the meat industry, it’s the only meat I will feed my family. Also, I compare it to eating out. I spend about the same as if we had gone out to eat at a restaurant (which we rarely do). I’ve tried Tropical Traditions meat before too and it was OK, but I prefer U.S. Wellness’s meat, and they have a much bigger selection. Going vegetarian is an even better option, but not practical when you live in an area like the Midwest and have multiple other food allergies. Also, you need to order by Wednesday morning to get your meat the following day, otherwise, you’ll wait until the following week for your order. They offer “free” shipping, but charge a $7.50 processing fee per order (for the dry ice and overnight service). Grass fed beef does taste slightly different from regular beef but you quickly get used to it. The biggest mistake people make (and I did this too), is to not cook it long enough. You need to cook grass fed meat a little longer. They say to cook it on high/medium for a short time to sear it and seal the juices, then turn it down lower and cook for a while until done. I cook all our meat in a skillet on the stove with a tsp or so of oil. I stopped using the grill completely for health reasons. I use a hamburger seasoning that I make. The recipe is in my cookbooks. 85% ground beef (1 lb packages). I order a lot of this b/c I use it for spaghetti sauce, meatballs, chili, tacos, hamburgers, meat loaf, etc. Filet Mignon – 6 oz. I cut these in half, length wise to get two small steaks out of them. My kids get one each, then I make other sides for dinner. They love these, but they are expensive. I often make these for them for holidays. New York Strip Steaks – these are good but sometimes have too much fat on them, so now I just get the filet mignons b/c we like those so much better. Pot Roast with Gravy/Seasonings and Pre-Cooked – my kids like this one, and I like it b/c it’s so easy to make. Just thaw out, then cook in the bag, in a big pot of boiling water for 20-30 minutes. Oila, dinner is served. BBQ sauce – they make their own sauce that is REALLY good. You do have to pay for shipping, so I ordered a few bottles. My daughter uses it for her steak, shredded BBQ beef, BBQ chicken, etc. Shredded Beef – they make a regular one that you can add your own BBQ to, or they have one that is a little more expensive that has the sauce already on it. Since we have their BBQ sauce, I just order the plain one and add our own. This is really good. It’s a little fatty, but still worth it. Only makes about 3 servings though. Summer Sausage – this is really good. We put them on Glutino crackers. I sometimes put these in my daughter’s lunch, or take along to theme parks in the summer. Beef Snack Sticks – these are like big Slim Jim’s. My daughter likes these, but my older son doesn’t. Bacon – we’ve tried their pork bacon, and it’s really good. They give you a really big package which is nice, b/c in our family, we go through a lot of bacon. We tried the beef bacon, and I thought it was nasty, but my older son said it was alright. If you have bacon left over, you can save it in the fridge or freezer for bacon, lettuce, tomato sandwiches, or as a topping on a baked potato. Baked Ham – We got their organic baked ham for Easter one year. It was alright. I’m not a big fan of eating pork. I occasionally order my organic chicken from this web site. I really like the organic chicken from Woodman’s (Smart Chicken brand), but sometimes they run out (before I can get there and clear the shelves). I like these b/c I hardly have to cut off any fat and they taste far and away better than any other chicken breasts. If they run out of organic, I’ll occasionally buy their non-organic chicken breasts, which are also pretty good. I cut these in half, length wise so I get 4 chicken breasts out of a 1lb package. But, on occasion, I’ll order from Blackwing if Woodman’s is continually out. I don’t trust any other chicken sources. Perdue claims to be all natural, but my guess is that’s more of a marketing gimic then reality. I’ve heard bad things about Tyson. One of our DAN doctor’s told me that if he were only going to buy one thing that was organic, it would be chicken. Chickens are typically fed feed that is laced with arsenic. Arsenic is a poison that tricks the chickens into thinking they are hungrier than they are, so they’ll eat more. The chickens get bigger and the chicken growers make more money. They also have very poor growing conditions (crowded coops with no room to walk around) so the chickens are often extremely sickly. Then they give them to us to eat. No thank you. Not for my babies. I just order the chicken breasts from here. Here’s a few cost saving tips. If you haven’t already, also read my post on “All Natural Couponing” for more ideas. But here are just a few tips. Before going to Whole Foods, go to their web site and print out any coupons you might be able to use. You can print as many as you want. These change every month or two. When you get to the store, go to the front of the store near the doors or at the customer service desk and get a copy of their store flyer which has coupons. See if you can use any of them. If I can, I grab a couple more copies. Sign up for www.moneysavingmom.com and sign up for e-mail alerts to all the stores you shop at. She will e-mail you about once a week with the deals and coupons available for products at those stores. I’ve gotten some great deals this way. E-mail Ian’s and request coupons. They’ll mail you one coupon for $1 off. Woo hoo! Have your friends and family request them too. Save all your UPC’s from the boxes. When you have at least 15, you can mail them in to get a coupon for a free Ian’s product up to $5.99. If you are GFCF: Go to Food for Life’s web site and request coupons. They’ll mail you about 5 coupons for 55 cents off. You can request coupons from them once a month. Suzanne’s Ricemellow Crème (www.veganessentials.com) Whole Foods stopped carrying this so I have to order online now. It does contain soy though. I use it on Chocolate S’More Pancakes and in a recipe for chocolate peanut butter rice krispies. Yum! Shampoo – Desert Essence Unscented shampoo, conditioner, and body wash. For girls with thick hair, I now use Mineral Fusion Curl Care. It works much better than Desert Essence but is more expensive. The Curl Care has the least smell to it. If you get the other varieties, they smell like oranges. I order online b/c it’s so much cheaper. I get from www.swansonvitamins.com or www.vitacost.com for about $5. They’re about $8 in the store. I use the Ivory bars. For my baby, I used California Baby unscented shampoo and body wash or Rainbow Unscented Shampoo from Whole Foods. Toothpaste – Right now, the kids use Tom’s of Maine without fluoride, Strawberry b/c there’s nothing better. It does contain sodium laurel sulfate which I don’t like. I use Desert Essence Tea Tree Oil and Neem toothpaste. I order online as well b/c it’s cheaper. Same places as the shampoo usually or wherever’s the cheapest. Seventh Generation Diapers – these are the same price online as at Woodman’s and free shipping. We use mostly cloth diapers though (Fuzzi Bunz). Candy – Lemon balls, lemon candy canes, lemon sticks, and peppermint candy canes from www.giambriscandy.com. All stage 1 but may have corn syrup. www.squirrels-nest.com has an assortment of natural candy. Some of it I find cheaper elsewhere or can find at Whole Foods to avoid shipping. Coconut Oil and Palm Oil Shortening – from www.tropicaltraditions.com. They have a lot of sales if you sign up for their e-mails. Epsom Salt – I order the 10 lb bags from San Francisco Salt Company, www.sfbsc.com. I watch for free shipping sales. If you sign up for their newsletters, you’ll get e-mails to watch for them. Also, be sure to Like “All Natural Mom” on Facebook. Posting tips and recipes almost daily (link is on home page on the left). 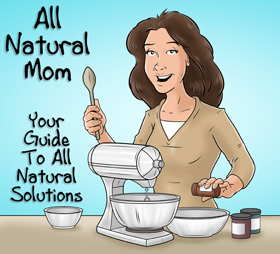 “All Natural Mom’s Guide to the Feingold Diet” e-book will be out August 11th, 2014 on Kindle! Hi Lisa. Epsom salts are for baths. It's basically just magnesium. It helps to detox the body and for some kids, it helps them to calm down. I actually order the 20 lb. bag. I made a misprint. Anyways, I usually add about 1/2 cup to my kids' bath. You can start with less then that and work up to about 1-2 cups if you want. If a child on Feingold accidentally has something with red dye or some high salycilate fruit, epsom salt baths are usually helpful. I can't say it helps my kids to calm down but I know it's beneficial b/c it's bringing out toxins. You can also add a little baking soda to the bath to bind to the toxins. If your child at first gets a little hyper from epsom salt baths that usually means that they are detoxing too fast or just have a lot to detox. Just use less the next time and you will see less hyperness and more calm with each bath. It also helps with constipation. Wow this list is amazing!! As a very new "Feingolder" I find it very helpful, thank you so much!!! I was googling Feingold and baby wipes and found your blog. I didn't see anything mentioned…do you know if most baby wipes are safe? Hi Heidi. Under Wal-Mart, I have Parents Choice Unscented baby wipes. We use these as do many FG families, without a problem, even though they're not in the Feingold shopping guide. My first baby had very sensitive skin. I only found one diaper he could wear without getting a rash (it was White Cloud from Wal-Mart), and he had no problem with these wipes. Huggies Natural baby wipes people seem to be OK with too. Seventh Generation wipes are approved. I just don't use them b/c they're too expensive. Thank you Sheri! We are also in the Chicago area, are there any local supports I should know about? I don't know of any. Sorry. Just found the support group – thanks! Our local Super Walmart carries the Earth Balance Soy Free for only $2.98! It is the only reason I set foot in that place-lol! Is Coconut milk OK to have? What about Vanilla Coconut milk? Yes, we use So Delicious. Vanilla is OK too. I am considering the feingold diet for my 7 and 4 yr old. They have so many "issues". Do you think its best to join the association? Its $100 and my husband says I could get all the info online but I am already confused. Will it help clear things up? Is it worth it? I have two books. One by Feingold and another on Why won't my child behave..i think.I really think I need to do something. My 7 yr old still wets the bed every night and my 4 yr old still has accidents every day. Plus they are loud, unfocused, hyper etc. My 7 yr old struggles in school focusing and with peers. I am worried because school starts in 2 weeks and I want them to be happy. I can handle them but I also worry for them. Don't have much help/support tho. I think it's $82.50 unless it went up. You really can't do the Feingold diet correctly just from info online. You'll drive yourself nuts. If he thinks you can, ask him to find all the info and let you know. I do post stuff here to help people who can't afford the program or who want to make healthier choices, but when you have kids who have serious issues and it's affecting their daily life and school, then you really should buy the program and do it 100%. Some people on the program say if you're not doing FG 100%, then you're not doing FG. True, and not true. I did a post on whether the diet is worth the $83. I think it definitely is worth it. You're right. You will get confused. Even when you buy the program, it takes weeks to really understand and comprehend the whole program. With my daughter, wetting was caused by stage 2 fruits. Read my low oxalate diet post to read about that. I also have a Facebook page that might be helpful to you. It's All Natural Mom. There's a link up top. Hope you figure out what's causing your kids issues. FG is a great place to start. Wetting is also sometimes caused by food allergies or yeast overgrowth. thank you for this post! i have decided get the feingold program for my son but not till next month, today i went to my local market store and felt so overwhelmed almost changing my mind then i found your post thank you again 🙂 ! I have a question for the types of medicine that you use on the FG diet. I don't know what type of cough and cold medicine to give my son. We use a variety of things. For cough medicine, we've used B&T brand from Whole Foods or the health food store. It's cherry flavored I think. I think everything we use is stage 2, but when they're sick, what are you gonna do? I also use Sambucus elderberry syrup for general cold or flu symptoms. They have a few different varieties. Umcka cold care we've used. Oscillococcinum Kids for flu and Hyland's Cough and Cold Nighttime for Kids (both homeopathic). Zinc, vitamin C, oil of oregano gelcaps (before food), lysine, vitamin D to boost the immune system. Stay away from sugar and drink lots of fluids. I give my kids a cough tea that my midwife made for them. Basically, hit up your local health food store. Most of what they have there is going to be OK. To stay FG stage 1, you can go with the homeopathic medicines. Hope he feels better! My daughter is sick too right now. Thank you SO much for taking the time to share ALL this information! I am getting ready to start the FG diet and your info is very encouraging!!!!! Hi I am a student and I have just begun researching the Feingold Diet. Can anyone answer a few questions for me? What are some barriers you have found to buying foods that follow the diet? Are there other diets or solutions you have tried that just haven't worked? What would you suggest to someone just beginning the diet with their child? Is it expensive to use this diet? What has your pediatrician said about this diet? Does he or she agree with the diet? Thank you! Hi Christine. I've answered a lot of those ? 's on an e-book I am almost finished writing. You can e-mail me directly if you'd like to read it. sheridavis27@comcast.net. For trying other solutions: I was reading a lot of disciplining books and nothing they said worked until we also added in Feingold. As far as what our pediatrician said, you can read my recent post, "All Natural Cold and Flu Care". At the bottom I explain what one of our ped's said about it. 🙂 Our regular ped didn't say much. Kind of like, oh, that's nice. We were never seeking their help for ADHD though. If so, they are usually against diet, though some as of late are starting to get on board the diet train. Is it expensive? – chapter in my e-book. Barriers to following the diet? – in my e-book under "Is It Hard?" chapter. We've done other diets after Feingold, that have just added to our Feingold Diet, not taken the place of. So, now we do both FG and GFCF. Thank you so much…this has been very helpful!!! Hi Morgan. Glad to hear! I've not noticed any reactions from the Mineral Fusion. I did notice that the Fortified one has a pretty strong orange smell to it. We use the Curl Care one now and that one does not have a strong smell. My daughter happens to have curly hair so it works for us. I order from http://www.vitacost.com sometimes. They have it there for $6.99 which is expensive but it works so much better than Desert Essence that we were using before. DE is fine for boys but not for girls with thick curly hair. The conditioner dried out her hair and it was impossible to comb. We still use DE's body wash or we use Ivory soap bars. We use the Mineral Fusion lotion unscented. Used to use DE but it's not high qualty. I think Feingold hasn't researched many shampoos, etc. HI, I was going thru th FG shopping guide, selection of jelly in San Diego is almost as bad as the shampoos. I was wondering what you use for jelly or jam. I hate to keep asking but I can't find things listed on the list in my area. I am trying to get kids completely on diet. Hi. My 86 year old grandma makes me jelly every year! Are you trying to stay stage one or two? Target used to have a pear jelly that we used. It was the store brand – Archer Farms or something. It's not in the book but it looked OK. http://www.squirrels-nest.com sells some st 1 jellies. We used the watermelon before and they liked it but it was VERY expensive with shipping. I'd love to learn how to make my own watermelon jelly but haven't yet. Whole Foods' 365 brand is OK. Otherwise, I just try to stick to an organic jelly b/c we also avoid corn syrup. After a while, I just used homemade strawberry jelly for my son's PB&J's but I only used a very small amount of jelly and he seemed OK with it. Hi, We are still in stage one. I will look at target. I make freeze jam to by pass the pectin. I have all the berry jams in the freezer. I just have never made any from the list of fruit that is permitted. I did check http://www.squirrels-nest.com they have none listed at this time. Hmm…they must've stopped selling it. I don't see it either. I'm definitely going to have to make my own next summer. No good watermelons right now. I'm just afraid of that whole canning process. Looks complicated. Hi, I googled Feingold diet and came across your blog. Considering this for my 5 year old son. He has Sensory Processing disorder and is about to undergo psychological testing for possible Aspergers and other issues. And probably ADHD, but I'm not medicating. I'm curious about this "diet" and a bit skeptical too. But if it can really calm him down, then why not try? My question is about lunch. He goes to public school (kindergarten) and I assume that he couldnt eat the school lunch or community snacks. What are some suggestions that would make for a good packed lunch? He's rather picky about veggies. And do you know if the organic Jammy Sammy's (Target) would be okay? WOw/ My brain hurts. Thanks for all the info! Our ped recommended the Feingold diet for my 4 yr old to help w/ ADHD symptoms… which means I need to have other 4 eat like this or he will FLIP out:/ I'm a bit overwhelmed by it all and have been searching internet for ideas. I don't want to buy the plan and then find it didn't help:/ I home school too, which I know is helpful…Anyway, thanks. Hi. Yes, it is a lot of information! You could try the 3-Day trial of the diet that I have posted here on my blog first if you'd like. It's easier when you have the materials but that will give you an idea. Also, check out my Facebook page. I find I take in info easier when it comes at me in smaller chunks. 🙂 Good luck. Hi Terri. No, he will not be able to get hot lunch or snacks. He'll have to bring his own. I'm not sure what the Jammy Sammy's are. Are you on my Facebook page? I've posted a few of my son's lunches and have discussed a little bit about lunches there. I will do a post soon on lunches and snacks. But basically he still have some of the same things, it will just be different brands. I just posted a list of what my kids typically eat, although we are mostly GFCF. Look under "C"'s meals. He is not GFCF but does limited dairy. Sorry I'm not much help but it really just depends what he likes and then you take it from there. Thank you Sheri! I am just beginning this journey, your list is life saving! and awesome you are here in Chicagoland for stores near us! Thank goodness I found this!!!! I just ordered the Feingold Diet a few hours ago and want to start asap! This has given me some great ideas until my package arrives. My son started having some tics a few weeks ago. My Dr. thinks it may be due to seasonal allergies. I don't think so. I have not stopped crying for days. The hope that this diet might help him is just about all that is getting me through the night. Thank you for all of the info! One question, are veggies fine? Broccoli, spinach, raw carrots, sugar snap peas? My son has been on this diet for 7 months and he is doing great. We are about to take a family vacation and I am worried about what my son will be able to eat. I know I can bring snacks, which are Feingold approved, but I could use any tips that anyone can provide. I want to make this a fun trip for everyone. I could use tips on how to keep my son on his Feingold diet while we are on vacation. Here's a post I did with our meal plans for the week when we had a full kitchen. How long will you be gone for? Are you driving or flying? Are you staying at a place with a kitchen or just a microwave/mini fridge? How long of a drive to your vacation destination? I've done vacations without a kitchen but it was for only two nights so I loaded up a cooler with some stuff – fruit, lemonade, water, muffins, dried fruit, cookies, brownies,sandwiches for that day, etc. Make sure your room has at least a mini fridge or request one. Sometimes you have to ask. We are dairy free so I bring a box of rice milk for cereal, then oatmeal packets or Annie's mac-n-cheese packets. You can eat at McDonald's, Chipotle, Papa John's pizza, Five Guys. If eating at a restaurant, we stick to hamburgers, steak, veggies, fruit, baked potatoes, water. I don't worry about staying stage 1 as much on vacation but it depends how bad your kids react if you choose to or not. If staying for a week, I always make sure we stay somewhere with a full kitchen. We have food allergies so it's a must and well worth it. 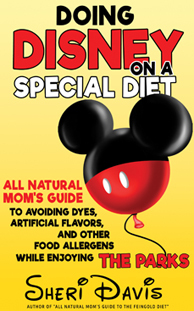 We did a Disney Cruise last year and my kids were awful the entire trip b/c Disney's food (for allergies) and service was awful. I said never again will I travel without being able to bring my own food. I am considering the diet and your blog is awesome and such an inspiration. I have an 8 yr old son and 3 yr old daughter and they both are bouncing off the walls. I want to personally thank you for taking the time to put this information out. Thank you. What about the Carmel color in Mexican Coke? Is that still Feingold approved? We love it! Thanks so much. The caramel color in Coke is OK. Some caramel color is OK and some is artificial. I rely on Feingold for that info as they check with the manufacturers to see how it is made. Natural caramel color is made from sugar only. Great info. Thank you SO much. I just ordered your book. Anyone have a jam recipe that is Stage 1 approved. I'm thinking pomegranate, perhaps. My kids miss their PB&J. Great! Hope you like it! I've never made my own jelly but I've heard it's really easy. Some people make pear or watermelon jelly. You can order some from Jill's Jams but shipping is crazy expensive. Or pomegranate is another option too. 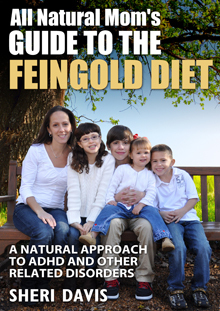 I just started gathering information on the feingold diet for my 4 year old and came across your blog. I’m going to try it out using your 3day test plan and if all goes well buy the feingold plan for all the info I’ll need. But I was curious, on the feingold website it says no peaches but you have dole sliced peaches in 100% juice listed on approved foods, are they acceptable? Thanks! Peaches would be stage two. On my shopping lists, I did not list out if something was stage one or stage two. My son is 24 months old. Something is setting him off and making him hyper, not listen, and it’s about to drive me nuts. I never give him food coloring, soy, or synthetic sugars that I know about because he gets a rash around his belly. I do my best to avoid corn syrup and always check labels. His dairy consists of 2% milk. His apple juice is 100% juice, but I water it down because of the sugar content. I do a 25% juice 75% water combo. I do not let him have chocolate because he goes does everything but climb the walls. He never gets coke, tea, or other juices. Most meals are prepared fresh and I am at a loss to determine what it is that is setting him off. We only eat out 1x a week and it’s usually something quick. That meal doesn’t seem to set him off. Of course, I have mentioned this issue to the Pediatrician and I get blown off. I’m always told that he’s a boy and this is how he is going to be. I disagree. My gut is telling me that there is something more going on with my little fella. I have been trying to figure out what is causing his issues since he was 18 months old. I pulled him off of regular milk at 18 months old and put him on lactose free due to some constipation issues. That did not help. Then, I chose organic milk. That did not seem to help either. I’m not sure what I am missing? I am a bit worn and weary looking for answers. I don’t want my child to start school having the issues he is having at home. He’s a sweet little guy, but just has these issues. He starts school next year and this is my last year to get this issue solved. I’m also looking for a hand soap dish soap/detergent that actually does the job being that it’s ‘that time of year’ (but) also minimizes the junk.